We know, we know. 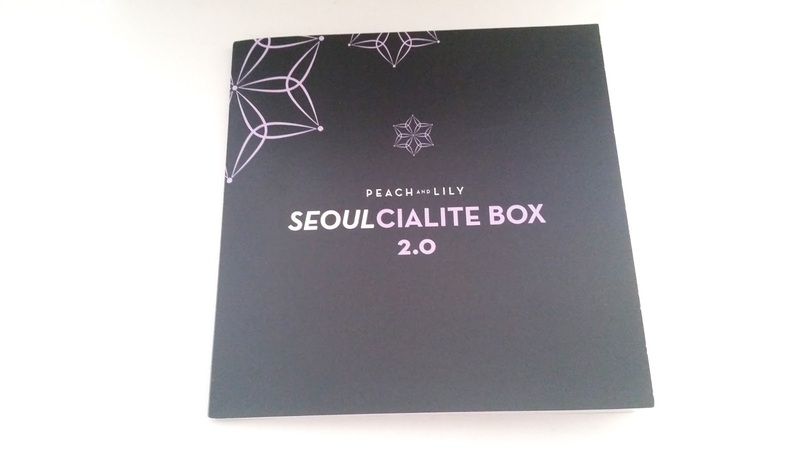 The Peach and Lily Seoulcialite Box 2.0 came out a while ago, so why are we unboxing it so late? Honestly, we are not. It was unboxed some time ago and we might have just forgotten about it. When we went to do our bi-weekly queue cleaning recently, we found it sitting nicely in queue waiting for it's debut day on our blog (lol). So, here it is. Although we know there's quite a few unboxings for this box already, we still wanted to share our thoughts and first impressions of it. Peach and Lily's box seems to be a yearly thing. They came out with their first box last year and we unboxed it on our site. We were fairly happy with that one which is what prompted us to buy this one this year. Last year's box was a mixture of skin care and makeup goodies (and one pair of ugly earrings). The general feedback for that box was that people wanted more skin care products from these boxes, so we had a feeling this year's box would contain more skin care. And it looks like we were right (although we have mixed feelings on that). At first glance, it looks like the Seoulcialite Box 2.0 is all skin care, but trust us, there's a tiny bit of makeup in there. The box is black this year, but the inner pretty pattern design is still the same and it's still magnetic! Which means we can use it to store nik-naks again (we actually use the first box to store all the information cards from other subscription boxes). 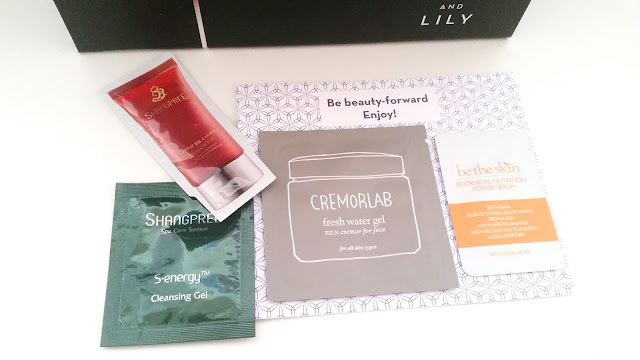 Like the first Seoulcialite box, this one came with a pamphlet with descriptions of each product and more. The Seoulcialite Box 2.0 cost about $49 and contains over $150 worth of products. Let's get to know those products! Product Description: A modeling mask with hydrating and anti-aging properties to nourish and revitalize the skin. Each mask pack is rich in gold and nourishing botanical ingredients to help remove skin impurities and re-energize the skin. It's an easy at home facial treatment that feels like you brought the luxury of a spa directly home with you. The bowl and spatula are specially created for these modeling masks. They make the process easy and sanitary, plus it is reusable for future modeling masks. To Use: Cleanse and tone the face first. Mix pouch 1 (Gel) and pouch 2 (active collagen powder) together in the mixing bowl. Spread the mixture evenly over the face with the spatula provided. Leave the modeling mask on for 15 to 20 minutes, then peel it off in one piece. Follow up with your skin care regimen. 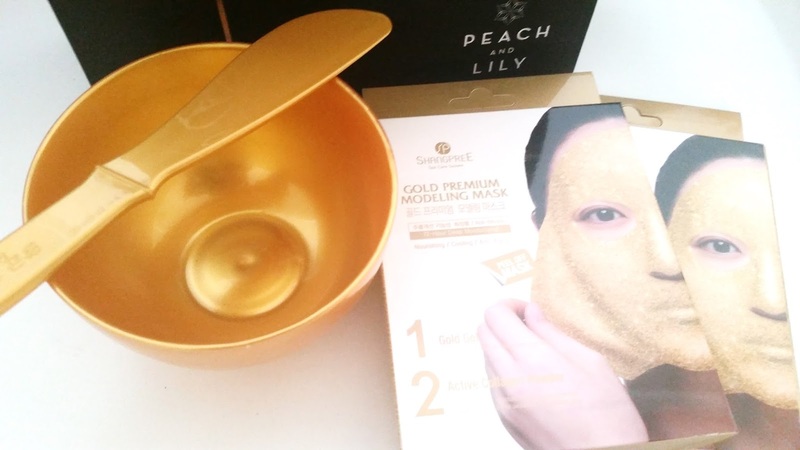 Our Thoughts: So these masks were the spoiler products shown when the box went on sale. Gold masks definitely caught our eyes and as mask lovers we wanted to try them, although, we've both had bad luck with modeling masks before. These masks are quite expensive actually. On Peach and Lily's site you'll see that each mask unit, which includes 1 gel pouch and 1 powder pouch is $20. That's a lot of money for 1 modeling mask. The bowl and spatula together costs $10, we are sure you can find cheaper elsewhere. Will this modeling mask be worthy its hefty price? We'll review it and let you know! Product Description: The rose bar soap is 100% handmade organic facial soap and it's also free of chemical preservatives, artificial colors, and artificial fragrances. It's formulated with rose extract that will combat against wrinkles and fine lines while cleaning and hydrating the skin. 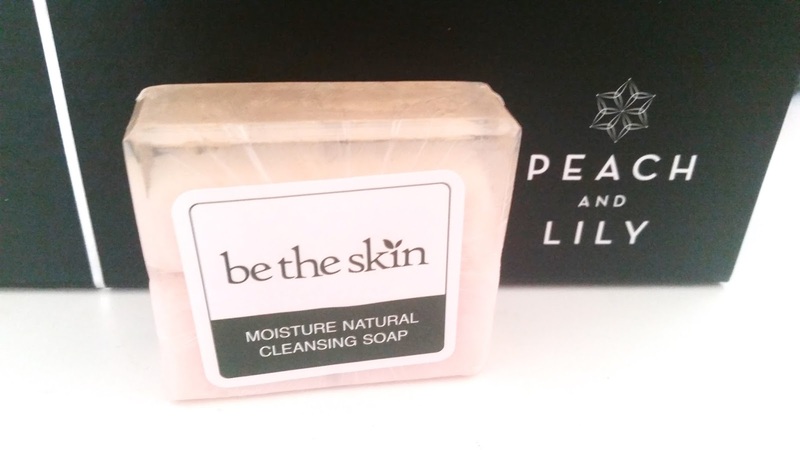 Notable ingredients in the soap are rose, lavender, and propolis. To Use: Lather the bar with water in your palms. Once you've gotten thick foam, massage the foam into your skin and wash off with lukewarm water. Our Thoughts: There were 3 types of soap randomly chosen for the boxes and they are Rose, Calendula, and Charcoal. We got the Rose one. To be honest, we didn't expect soap to be in the box. We did expect some type of face wash and with so many innovative facial cleansers on the market in South Korea, a bar of soap was the last thing we expected. But, here it is. We actually had a little issue with the original bar of soap that came with our order. A quick email to Peach and Lily's CS team with picture proof, after some back and forth we were send a second one that didn't have issues. We haven't decided if we will actually use this facial bar soap or not. We might need to debate on this some more. 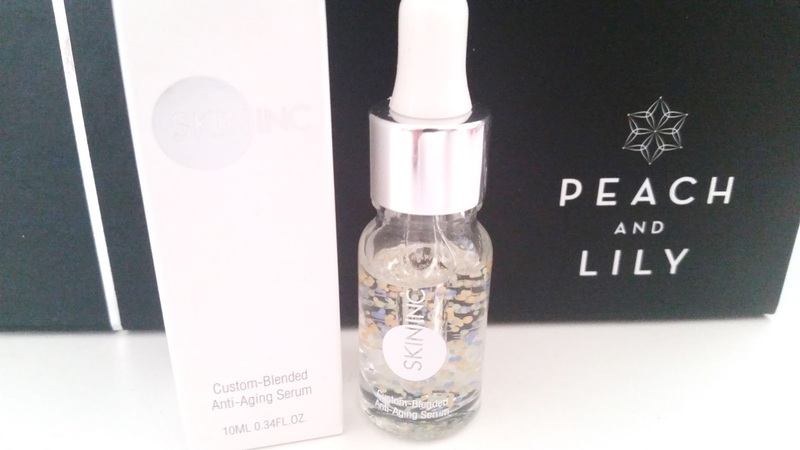 Product Description: An anti-aging serums with a custom blend. It contains notable ingredients such as Coenzyme Q10, Marine-Collagen, and Hyaluronic Acid. Skin Inc uses its patented encapsulation technology to include the above notable ingredients in the serum. Coenzyme Q10 is known to enhance the skin's ability to renew itself, Marine Collagen is known to promote elasticity and suppleness in the skin, and finally, Hyaluronic Acid is known to provide hydration to the skin. The serum is also free of parabens and fragrances. To Use: Cleanse and tone the face first. Take 1 to 3 drops of the serum and massage it gently into the skin. Follow up with your skin care routine. Our Thoughts: There were 3 types of serums randomly chosen and we got the anti-aging one. The other 2 are Brightening and Soothing. This might be the tiniest and most expensive serum we own. While the serum sounds pretty decent, we still have our doubts and we are not sure if it's worthy of its expensive price tag. It's literately like $4.5 per ml. This was actually one of the items in the box that didn't come with an expiration or manufacturing date. We ended up emailing Peach and Lily to find out and learned that Skin Inc said the serum is good for 6 months after opening and can last up to 3 years without opening. They still did not give us actual dates, which is a bit iffy. While we don't think Peach and Lily or Skin Inc would include expired products in their boxes (or we hope not), we are still going to be cautious with this one. 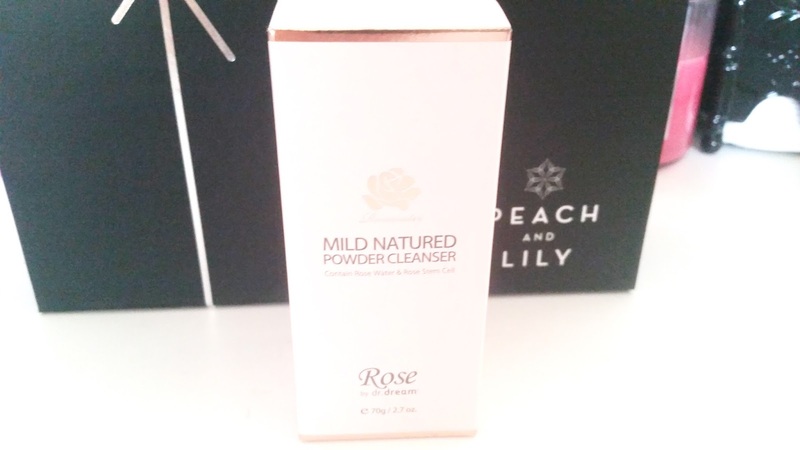 Product Description: A unique hypo-allergenic powder cleanser with no artificial colors, preservatives or sulfates. This cleanser is formulated with rose stem cell and trehalose and will gently cleanse away dead skin cells and leave the skin feeling moist. Since it is a powder cleanser, it is very travel friendly. To Use: Take out a teaspoon full of the powder cleanser and place it in the center of your palm. Add a few drops of water to your powder and massage the mixtures gently onto the skin. Rinse with lukewarm water. Our Thoughts: Another facial cleanser...but at least this one seems more interesting. We were actually eyeing the Su:m37 powder wash before but since we got this Dr. Dream one now, we'll probably test this first. Neither of us have ever tried a powder cleanser before, however, from the videos we found online, they seem quite interesting so we are excited. Product Descriptions: A unique mask for the apple zone of the face. The apple zones are the gray shaded triangular area in the image above. The apple zone area usually gets dehydrated easily and are often exposed to harmful UV rays and pollutants. Thus, they are more likely to have acne issues and accelerated signs of aging. These patches will help hydrate and rejuvenate the targeted areas. To Use: Cleanse and tone the face first. Remove the white protective film from the patch and apply it to the apple zone areas. Leave the patch on for 20 to 30 minutes. Remove after and continue with the remaining skin care routine. Our Thoughts: Well this is new. We've seen and used spot patches/masks before but never once have we seen masks specifically made for the apple zone areas. Cosrx is a brand we've known of for a while but just recently decided to try their products. So far, we like what we see, so we are excited for this product. After all, we are usually excited to try new masks/patches. 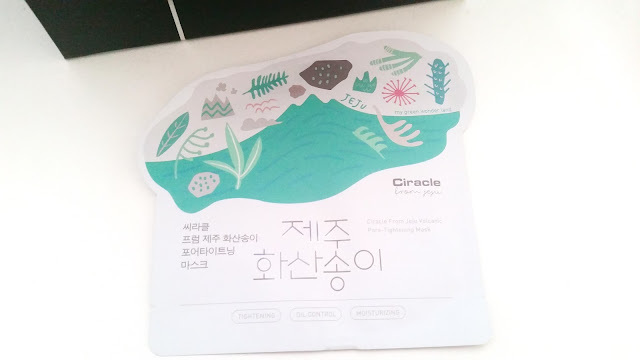 Product Descriptions: A pore tightening mask infused with purifying Jeju volcanic clay, mineral rich Jeju seawater, binchotan charcoal powder, and Ciracle's Pore Tightening serums. These ingredients work together to remove impurities from the skin while minimizing pores and leaving the skin feeling moisturized. To Use: Cleanse and tone the face first. Remove the sheet mask from the pouch gently, try not to tear the material. Unfold the mask and lay it over the face, make sure to align the eyes, nose, and mouth. Leave the mask on for up to 20 minutes and remove after. Pat in any remaining essence into the skin and follow up with the remaining skin care routine. Our Thoughts: Is it just us or does this box contains mainly masks and facial cleansers? This is the third mask (type) in this box and we were quite surprised by that when we first opened the box. As much as we love masks, we really hoped for a variety of skin care products. That aside, this Ciracle masks actually sounds pretty interesting. Since we are always looking to try pore tightening products, this one is right up our alley. This is the other product in the box that didn't come with a manufacturing or expiration date. So, of course, we emailed to ask and unlike Skin Inc, Ciracle actually gave us the dates! Yay! So the expiration date on this mask is April, 21, 2017 and the manufacturing date was April, 22, 2015. Now the samples, or we can't actually consider them all samples because 2 of them are considered actual items in the box (say what?). So the 2 Shangpree samples you see to the left are considered actual items in the box. (Comon Peach and Lily, don't be cheap. Samples are samples, let's keep it that way.) These 2 Shangpree samples actually came with their own price tag too (we loled at it, then realized that money could have been used for a full size product, that made us a bit sad). The Cremorlab and Be The Skin samples to the right are actually samples. Although not specifically chosen for the box because apparently you get those whenever you make a purchase from P&L. Anyways, guess we'll introduce the 2 Shangpree samples below. Product Descriptions: BB cream with special botanical formulation that blends seamlessly for a natural finish. It not only covers unwanted spots and smooth over wrinkle, it also leaves the skin luminous and moisturized. To use, take a pea size amount and apply it gently onto the skin to even out skin tone. Our Thoughts: So, this is the only makeup product in the box. A BB cream sample. They couldn't at least give us multiple samples of this BB cream? We imagine this sample might only last us one use, 2 uses if we are lucky. One to two uses is not enough to tell if you like a BB cream enough to try the larger size. 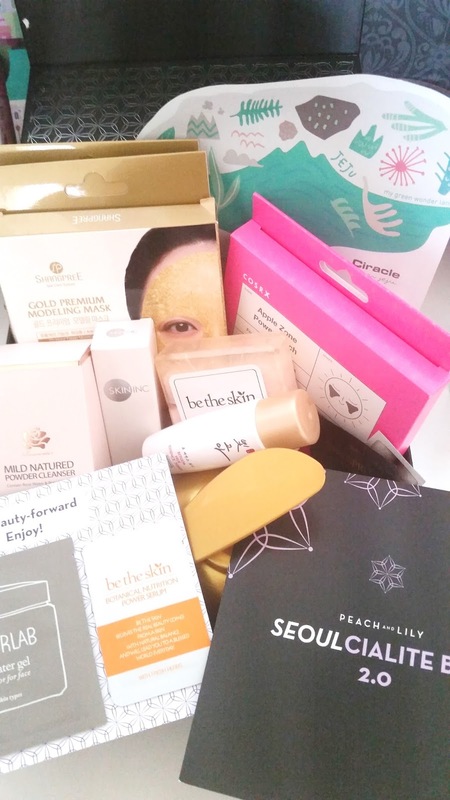 While we had a feeling this box would contain almost all skin care products, a measly BB cream sample as the only makeup in the box is kind of sad. Especially since there are many innovative makeup goodies on the market. Plus, this sample has its own price tag of $0.75, erm, Houston, we have a problem. Now, if the sample is like Innisfree's samples, which by the way lasts like 7 days and come with caps to reseal the sample pouch to keep the products fresh, then maybe it's okay to have a price tag on it. However, this, is just sad. The money for samples could have been spend toward something else, seriously. Product Description: A cleansing gel to break up waterproof makeup and clean out pores. it's mild enough for sensitive skin. The gel cleanser is infused with botanical ingredients like lavender, sage and spearmint to provide nourishment to the skin while it's being cleansed. To use, gently massage the cleansing gel onto dry skin in circular motions. Rinse thoroughly with lukewarm water. Our Thoughts: Again, a 1 time (2 if lucky) use sample that just isn't impressive. It's so unimpressive that we've got nothing to say about it. We kind of ranted about why we aren't happy with the samples above, so yeah. Product Description: An essence toner formulated with fermented extracts of lotus, soybean, pumpkin, rice, pomegranate, milk and rye. This essence also contains ginseng root, together with the fermented ingredients it not only balance the skin's pH but also boost hydration and provide a smoother, brighter complexion. To Use: Pat dry the skin after cleansing. Apply the toner onto a cotton pad and swipe it over the entire face. Allow the toner to be completely absorbed before moving to the next step. Our Thoughts: The first thing that came to our mind when we read the product description was, man we hope it doesn't smell. Since it contains so many fermented extracts and many fermented toners tend to have a, um, unpleasant scent. Think Sk-II's facial treatment essence for example. We have mixed feelings about this product but we do plan on testing it out. At least it can last more than 1 to 2 uses, unlike some other products in this box. Final Thoughts: Well, this box was a mixture of feelings. While we love the variety of masks, we wish there was more variety in terms of the types of products. If you take out the samples and travel size toner, this box was mainly masks and facial cleanser with one serum. Definitely a let down. 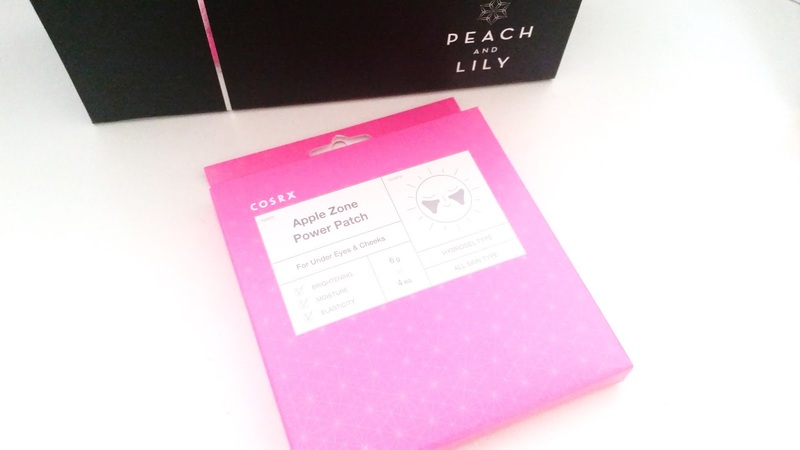 While Peach and Lily was able to provide a more skin care like box, we can't help but feel that a bit more of makeup wouldn't have hurt. Especially since the only makeup item in the box was a foil sample BB cream. While we are excited for the masks/packs and are going to test out the powder cleanser, serum and the (hopefully non-smelly) sample toner, the rest of the stuff in the box aren't that interesting. Will we purchase future Seoulcialite boxes? That's debatable. We'll have to see what the spoiler item will be to decide. 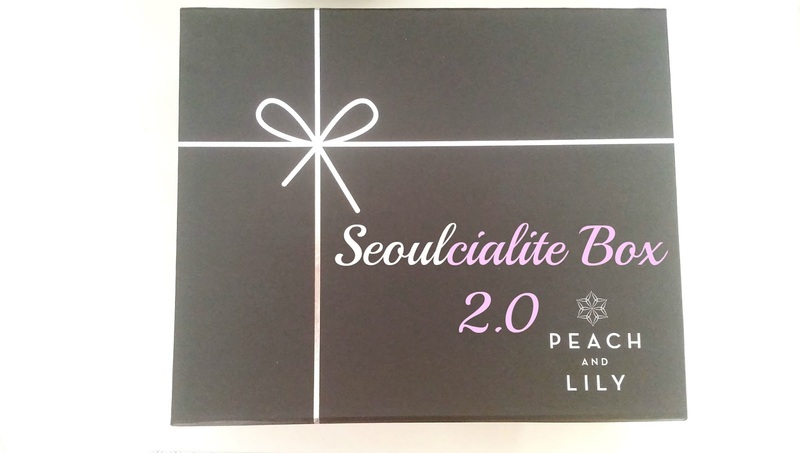 Did you buy a Peach and Lily Seoulcialite Box 2.0? What are your thoughts on it? New to Peach and Lily? 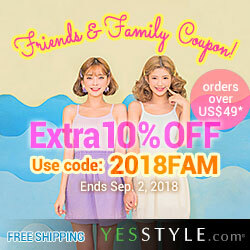 Check out our Deals page for savings! Disclosure: The products were purchased by us and all the opinions are honest and our own. This post may contain referral links.